Back In The Gi » Blog Archive » Variable speed kata. 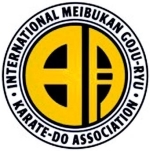 In one of my earliest posts on this blog, I mentioned some key differences between the major schools of Goju-ryu in the way that the kata Gekisai Ichi (or Gekisai Dai Ichi) is performed. This includes the height of the first punch (high vs. middle), the locations of the kiai (on the reverse punches vs. on the kicks and shutos), and the inclusion or omission of additional moves at the end. One aspect of the kata that I did not realize varied substantially among schools within a style is the overall tempo. I have been struggling somewhat to slow down my performance of Gekisai Ichi to the pace expected in my current school (Meibukan), and I am coming to realize that, in part, this is because my muscle memory was trained to do it significantly faster in my old school (Jundokan). Here are a few examples. Note that “total kata duration” below refers to the time from the first move to a return to the start position. Total kata duration: 51 seconds. Total kata duration: 32 seconds. Total kata duration: 24 seconds. It’s pretty amazing to me that the same kata performed by high-ranking students with direct links to heads of their respective schools can vary two-fold in overall duration. The thing to remember about the tempo and pace of kata is that it varies depending on the applications you envision during the kata. A great example that I saw of this in my own system was when I went to a seminar to learn from the man who is the North American branch head for the Shorinkan. He demonstrated a few kata that I have seen my instructor perform numerous times, and the techniques looked the same but the way they were done and the tempo and speed and timing were all completely different. My sensei actually asked him about their differences and he responded, “that’s good, they should look different–we are different martial artists, so what we do shouldn’t be identical to each other”.